At Associates and Bruce L. Scheiner, Attorneys for the Injured, we have watched our city grow into a vital link on Florida’s beautiful Gulf Coast. However, we know that the area’s popularity means added traffic on local roads. According to the Florida Department of Highway Safety and Motor Vehicles, more than 1,600 traffic accidents happen yearly in Fort Myers. When the city’s residents are left with serious injuries because of careless or negligent drivers, they turn to our Fort Myers personal injury attorneys for confident and assertive representation. Known as Lee County’s “City of Palms,” Fort Myers has seen significant growth since the mid-1800s when it was the site of the military fort from which it took its name. The city, which serves as Lee County’s seat of government, incorporated in 1885, and later gained visibility when Thomas Edison and Henry Ford built winter estates in Fort Myers. Situated at the mouth of the Caloosahatchee River, Fort Myers is a leading tourist destination and an energetic community that provides residents with all the elements of great Florida living. 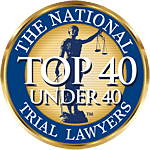 Our nearly 40 years of service to the people of Southwest Florida have taught the Fort Myers drunk-driving accident lawyers at Associates and Bruce L. Scheiner that impaired motorists are responsible for more than 20,000 traffic crashes in Florida in a year’s time. We know that those collisions leave more than 14,000 people with injuries and that they take the lives of more than 1,000 innocent victims. Our firm is known for its aggressive representation of victims of drunk drivers. We believe that drunk drivers and the devastation they cause must be stopped. We’ll fight for your rights and work to get the impaired driver who harmed you off of our roads. In Fort Myers, the motorcycle accident attorneys at our firm are recognized for their tireless advocacy for motorcycle safety and for the victims of motorcycle accidents. We know that Florida’s roads are the site of more than 8,000 motorcycle crashes yearly, and that more than 7,000 motorcyclists suffer injuries in those accidents. Because motorcycles are no match for the power of cars or other enclosed vehicles, motorcycle riders often are in for serious harm when collisions happen. Our firm is pleased to provide injured motorcyclists with knowledgeable and effective legal guidance after accidents have caused serious harm. When serious harm has been done to a loved one or to you, the Fort Myers personal injury and wrongful death lawyers that clients have trusted for nearly 40 years stand ready to serve you. If you aren’t able to come to our offices for a free consultation about your case, we’ll visit your home or hospital room. Our firm pays the costs involved in building your case. You owe us no fees unless we win for you.